When Dynamics 365 is used as a Sales force platform, there is often a need to identify the products that customers are buying in order to determine information such as sales price, support eligibility or other more business and industry specific information. Dynamics 365/CRM offers a set of entities and processes to manage the sales cycles. However, in most cases, the sales have to be recorded in a Finance system, often referred to as ERP (Enterprise Resource Planning) software. This article talks about what Dynamics 365/CRM has to offer on the sales process, product and price management side, what the limitations are then it comes to integrating with an an ERP and discusses some possible solutions. Dynamics 365/CRM comes with a pre-defined sales process that can take you from a lead to a sales order and an invoice. It’s up to each organization to decide what entities they want to use in the process and configure it to meet their needs. The image below shows the sales cycles as defines by Out of the Box Dynamics 365 for Sales. During the sales process, there is a level of interaction with products and prices at almost every step. In the Opportunity, you enter the list of products and prices that your prospect is interested in. I’m purposely not going over details related to the Price List setup (e.g. volume discounts setup) or Opportunity (write-in products, percentage or amount based manual discount etc.). There is much more to it but I just want to give the big picture here. To sell products in CRM, you must have pre-defined Price List per currency. If you sell in a lot of regions, have a lot of different bundles with lots of product types and variances, then you might end up with a system that is loaded with products and price lists. There is no issue with this model as long as there is an established process to manage those products and price lists in your CRM system. What are the challenges when ERP comes into play? There are a few challenges that we see in the field as it relates to the process and structure above. The out of the box sales process ends with the creation of a sales order and an invoice in Dynamics CRM/365. The reality is that a lot of businesses have these steps in an ERP or have to synchronize what CRM produces to a Finance system. This can be complex because the details about the products selected in the Quote/Order/Invoice have to have matching elements in the ERP system (usually SKU). This means that your product and pricing information has to be synchronized between your CRM and your ERP. This is often a challenge. If the ERP data model is not too far from the CRM model, you can simply make adjustments as required in CRM and synchronize the data between the 2 systems as needed. Is it even possible to adapt the CRM data model to match the complex ERP structure? Considering that the data model and sync issues are resolved, does the structure and volume of the data (number of products and price lists and data model) allow for a good user experience on the CRM sales side? (i.e. can users still easily find their products and price lists in CRM while working with opportunities or orders etc.). – you might have to create a custom user interface to provide your users with a better experience in order to drive adoption. Consider using a Configure Price Quote (CPQ) solution as an add-on to Dynamics CRM/365. Some of them are extremely well designed and provide the ability to configure complex product pricing structures while taking care of the user interface to build quotes (add products and automatically calculate prices etc.) and being integrated with Dynamics 365 for Sales/CRM and some ERP products. A question is often asked: if ERPs are more flexible for pricing, why not have your sales people directly working in ERP? And the answer is simple for Dynamics 365. First, the cost, it is generally much cheaper to buy a Dynamics 365 for Sales app license than to buy an ERP license. 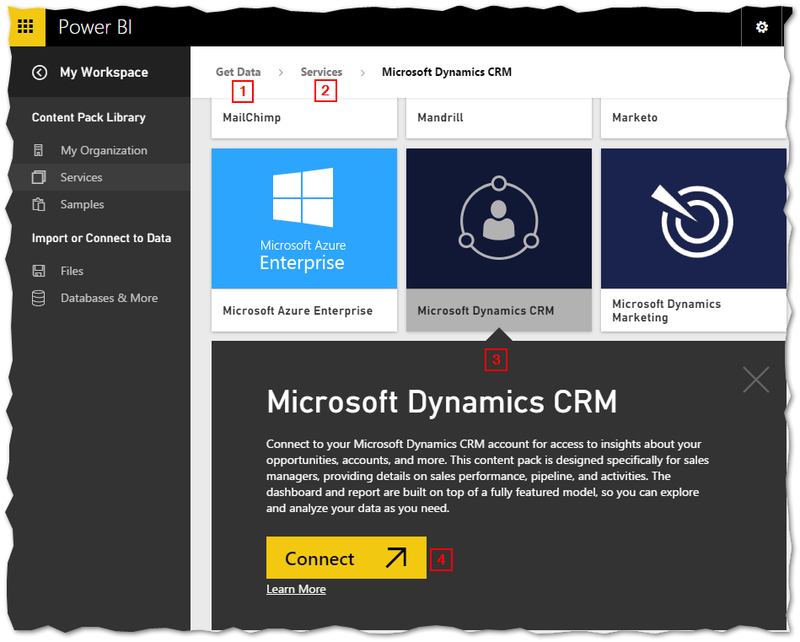 Second, Dynamics 365/CRM is much more configurable to adapt to the business processes (creating fields, forms, views, relationships, integrated reports, sales suggestions etc.). I could go further but I won’t. Don’t have your sales people working out of your ERP, it’s generally a bad idea. Product management in Dynamics CRM/365 is a relatively rigid process. When you have a complex scenario where the products and pricing info comes from another system, it is important to carefully analyse the gap with the Dynamics 365 structure and to decide how you want to close that gap. In the example below, consider we have a contact form that displays an external page in an IFRAME. 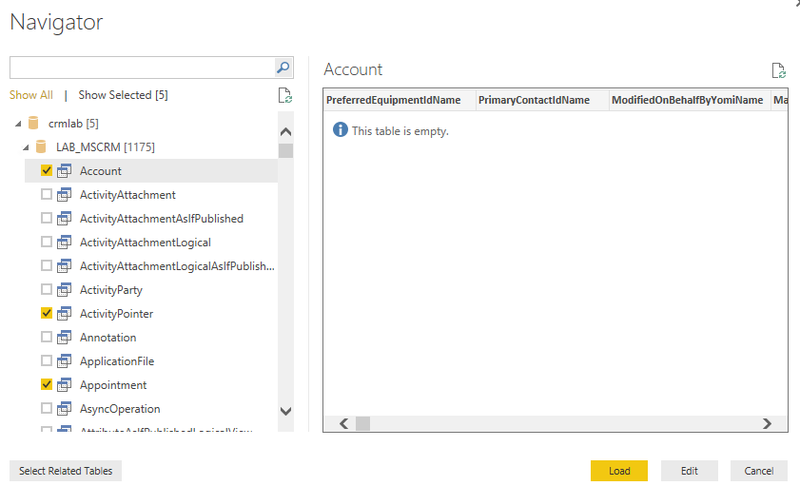 When a button in clicked in the IFRAME, information (example, a lookup value) is passed to the CRM form, the value is set on the screen and the form is saved. The code below contains two methods, the first one (RegisterListener) sets a method that will be called if the postMessage is invoked (UpdateContactLookup). At step 3, using the postMessage on the window.parent will cause the SADAX.Contact.UpdateContactLookup method to be fired on the parent CRM form. Notice that the method receives an event object as a parameter. The content of the object slightly differs based on the browser being used (IE vs rest of the world). Mostly, you should pay attention to the event.domain or event.origin attributes. This is used to validate the website that posted the message is safe (i.e. the one you are expecting). 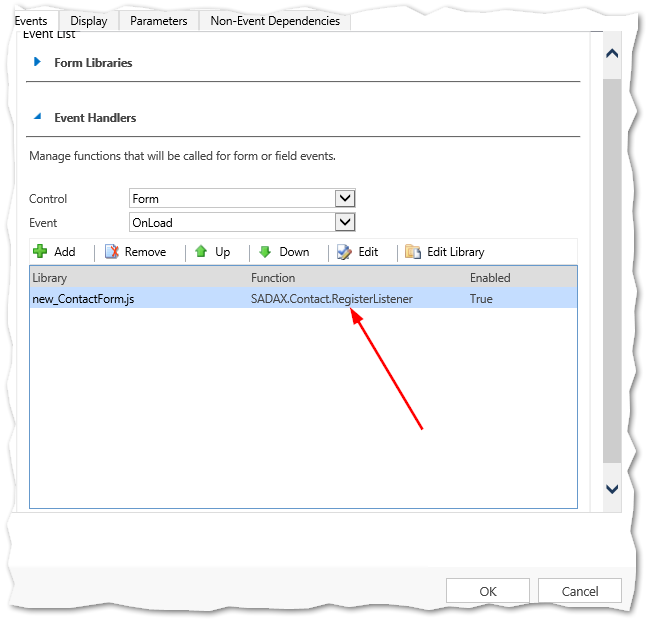 There is also an event.data attribute that contains parameters that are sent from one page to another. In this case, we are using a renamed JSON library to stringify our custom object types. Passing an object without stringifying it would work, but we found it didn’t work well in all browsers/version. The reason for the renamed JSON library is again browser compatibility reasons. If IE8 is out of scope for you, you probably do not need this. IE8 doesn’t allow to postMessage to other windows, only to iframes. I haven’t tried this in CRM Online so you can try it by yourself if need be. That was content for great research. First I want to share some facts about what you usually get with address validation solutions and then I will talk about the different solutions we used for the scenarios mentioned above. An address validation solution is a tool that helps make sure an address is valid according to a standard (post service, government, other). It does so by taking an address as input, parsing it, comparing it to addresses in a proprietary database using match algorithms and returning a corrected/validated when it is found. There are plenty of address validation tools out there. Most of them have some common points. First, they are sold as web services (cloud based or on premise) or as local APIs (.NET Libraries). If you are going with a local installation, it usually includes one or more address databases along with a web service. That means you will require little space on a server to install your address validation tool. Most vendors also offer a batch address validation/correction module. Second, most of them function the same way: you send an address as an input and you get the validated/corrected address as an output. When an address is corrected, you get the changes that have been made (e.g. postal code changed, street type added etc.). In the same logic, when an address is not validated, you also get a validation status and sometimes a reason why the address is not validated. 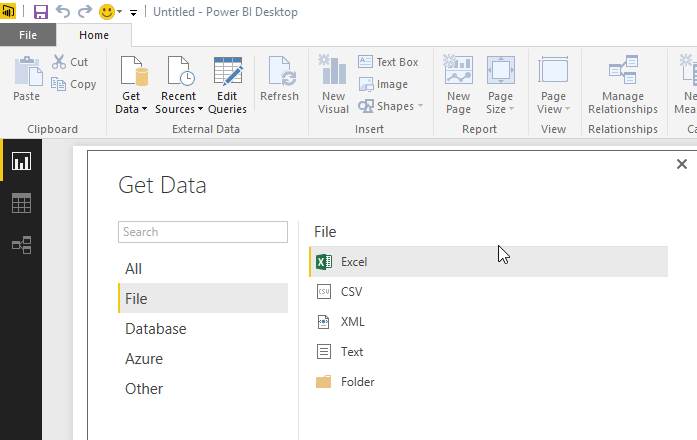 The batch processes usually provide a way to upload an address spreadsheet and get an output spreadsheet with the validation results. Lastly, the pricing models are similar. You get can buy a certain amount of transactions (monthly, yearly or other). The price will vary based on the set of tools selected. Obviously, there are other things to take into account. Some vendors only offer validation for specific countries and regions, some provide more than just address validation, for example address standardization, geocoding, multi-language support and more. In our case, we decided to write an application that reads all the rows for which we need to validate an address. For each row, a web service call is made to the address validation service provider, once we get the result, we store the corrected address as well as the correction details. When an address is not corrected, we store the details (if available) and we send the record through a manual processing for someone to perform the validation manually. 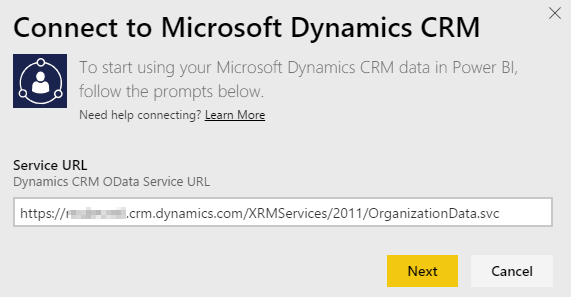 If you are adding this feature when building your system (before there is any address in your CRM), then you should never need the logic described in the point above. Keep in mind that in point b, we call an external web service. This design works well for on premise installations. For CRM Online, you may not be able to reach those external web services if there are not hosted in Azure. For this client request, my colleague had experience with a CRM Add-On that does just that. It is called PostCodeAnywhere. It is a light weight solution for CRM (it only contains a few web resources). Here are a few screenshots. It is worth noting that they support a lot of different countries so it makes it a very handy tool if you work for a company that stores international addresses. You can configure it to work on OOB address fields as well as custom fields. I will also mention that using this tool is great to help system users entering correct addresses. However, there is no way to know (from an auditing perspective) that an address was entered using the add-on. Anyone could overwrite it manually. Service Object : Great overall experience. The product is very good and the support and sales team are very responsive, efficient and flexible. They offer validation web services for US and Canada only. Melissa Data : The product list is impressive (on prem, hosted web services, SSIS integrated tools etc.). They offer a global address validation web service. nCode : The product has a lot of search algorithms for address validation. It comes as an on premise web service installation. It only support Canadian addresses. The Google MAP and Bing APIs are also worth taking a look at.